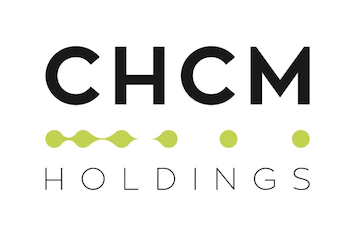 Coach House CM Holdings is a UK based company specialising in the development and manufacture of an innovative anti-microbial suite of protectants, cleaners and disinfectants. This next generation technology is non reliant on harsh chemicals, and provides surfaces with long lasting protection from infectious bacteria, pathogens and other pests. The CHCM material is not harmful to humans, plants or animals. Unlike the traditional approach of chemically attacking infectious microbes, CHCM products target the surfaces microbes depend on for survival. This newly mechanically modified surface is one that prevents adhesion, disrupts microbial communication and prohibits colonisation, reproduction and proliferation. Microbes that are unfortunate enough to come in contact with an CHCM modified surface, either move on to more profitable sites or exhaust themselves, wither and die. This is because we are facing a sea change moment when it comes to bacterial infections and anti microbial resistance (AMR) on a global scale. In the past twelve months the World Health Assembly, the World Health Organisation, numerous medical bodies, the UN and even the World Bank have been alerting us to an impending and inextricably interrelated crisis. The World Bank is calling for action on Anti Microbial Resistance (AMR) in general. The evidence is now overwhelming that harmful bacteria are evolving and adapting and becoming increasingly resistant to antibiotics and anti-microbial chemicals. The most famous or notorious of these AMRs is Methicillin Resistant Staphylococcus Aureus (MRSA). To compound the threat many infections are resulting in Sepsis. Despite its relatively low profile, Sepsis is responsible for more deaths in the UK each year than prostate, bowel and breast cancer combined - and is responsible for the most deaths in US hospitals. The international medical community, led by the WHA and WHO made Sepsis a Global Health Priority in a special resolution in May 2017. With no new antibiotics being produced in the past 30 years the medicinal arsenal with which to combat this threat is sparse. Therefore official recommendations are currently advocating prevention through increased hygiene levels and greater vigilance. CHCM is ideally placed to support this strategy as its' products are directly targeting the surfaces and environments where these infectious bacteria proliferate and consequently then attach to their unwitting hosts. By creating safer and cleaner environments and providing longer lasting protection CHCM is looking to mitigate the risk of contracting infections by targeting them at source.